Lola, a postal worker from New York, has dreams of becoming an oriental dancer. After performing at a local restaurant, her dancing attracts the attention of Zack, an Egyptian man whom she falls for and follows to Egypt. Lola, however, is crushed when she finds out that Zack is to marry a woman of his family’s choosing. Consequently, she decides to pursue her love of dancing and convinces a retired dancing star—a woman who quit dancing due to a scandal involving a mysterious lover—to teach her. As Lola learns under the dancer Ismahan, they become good friends and gradually Lola excels into a dancer of professional caliber. 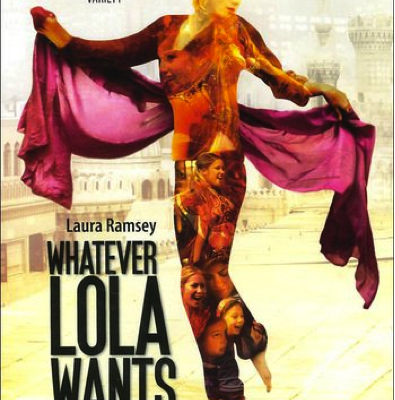 Lola’s dancing soon attracts the attention of Nasser, a famous impresario, and she gets the opportunity to dance in prestigious places and at popular events. She soon discovers, furthermore, that Nasser is Ismahan’s former lover. As her dancing career blossoms, Lola works to reunite Nasser and Ismahan before returning to New York to share her newly acquired art to her fellow Americans. Screening Morocco: Contemporary Depictions in Film of a Changing Society by Valerie Orlando. Project MUSE Database, (2011), pp. 19-70. Arrows of Desire: Dance and Power in Transitional Cinema by May Telmissany. Journal of Muslims Worlds and Mediterranean, No. 134 (December 2013), pp. 157-169.